Playoffs are a time for hope. Hope is fragile, though, and so are athletes’ bodies. When marquee athletes get hurt during crunch time, fans feel the pain too. Dreams of championships die as heroes head to the operating table and hit the rehab circuit until next season. From Kawhi Leonard’s freak foot injury to Carson Palmer’s entire knee blowing out, these are the injuries that happened in the playoffs that ended their teams’ runs. LeBron and the Cavaliers stood no chance when Kyrie Irving hurt his knee in the 2015 NBA Finals. The San Francisco 49ers made three straight trips to the NFC Championship game from 2011 to 2013. Their final appearance was the one that hurt the most. With the game on the line against the Seattle Seahawks, all-pro defender Navarro Bowman had his knee twisted and bent during a goal-line stand. 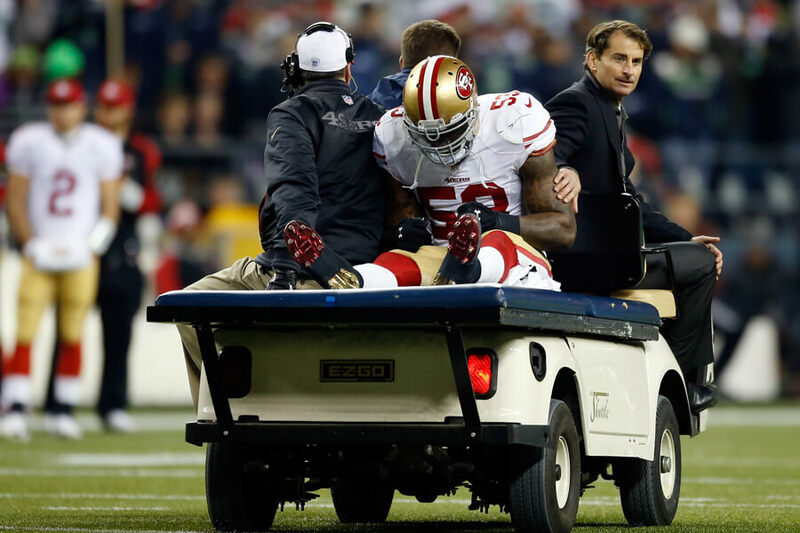 The injury represented an end of a brief glorious era for the 49ers. Bowman tore his ACL and MCL on the play. He also stripped the ball and recovered it, although Seattle maintained possession. At the time the play was not reviewable, so the call on the field stood. The 49ers lost the game 23-17 and haven’t been back to the playoffs since. Derrick Rose became the NBA’s youngest MVP ever in 2011. One year his Chicago Bulls were poised to make the finals. 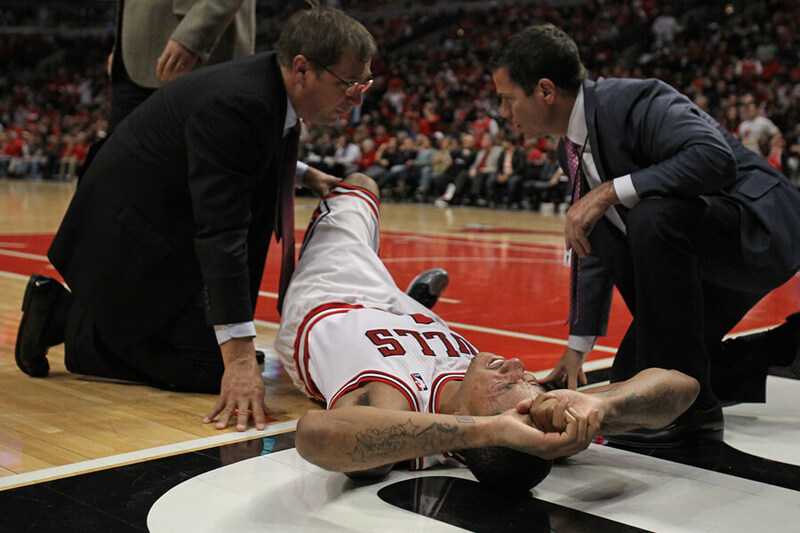 When Rose tore his ACL in a playoff game against the 76ers it all came crashing down. The Bulls won the game, but that’s as far as their playoff run went. The Miami Heat, led by LeBron James, won the NBA Finals. After the game, teammate Kyle Korver said, “It’s like the saddest win ever.” Rose, who has battled injuries his entire career, was never the same after this one. Chicago traded him to the Knicks in 2016 and have been stuck in rebuild mode since. As you’re about to learn, ACL’s are a theme on this list, and Carson Palmer had one of the worst ACL injuries ever in his first playoff game! The Cincinnati Bengals’ first playoff appearance since 1990 was short-lived in 2005 when Carson Palmer tore his ACL and MCL on his pass. Doctors called the injury “potentially career-ending,” after seeing the extent of the damage. Jon Kitna entered the game, and the Steelers cruised to a 31-17 victory. 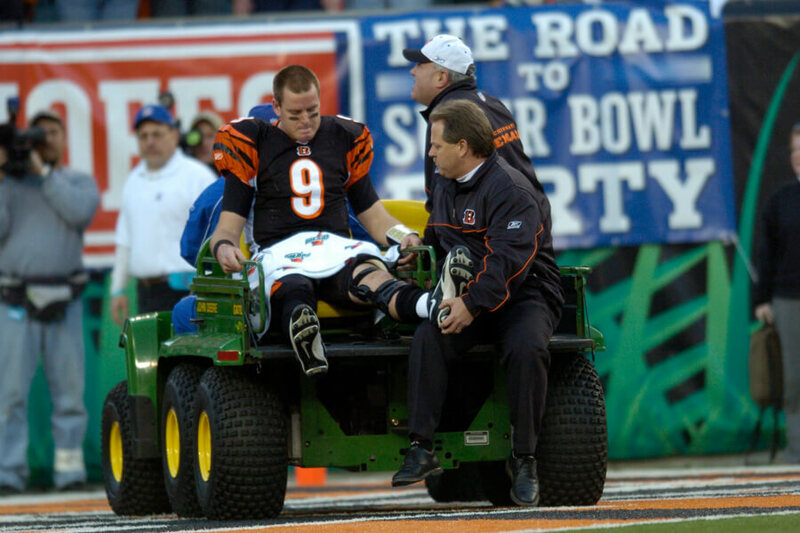 The injury didn’t just end the Bengals playoff run; it may have proved the franchise is cursed. The last time Cincinnati won a playoff game was 1991. Since 2005 the team has made the playoffs consistently but has failed to win. Facing off against the Golden State Warriors in the 2017 NBA Playoffs, Kawhi Leonard suffered a season-ending injury when Zaza Pachulia twisted the star’s ankle. Taking a jump shot, Zaza slipped his foot into Leonard’s landing area. Leonard came down on top of Pachulia and twisted his ankle. Down 26 points at the time, many consider the play to be dirty. Pachulia maintains his innocence. The Warriors came back to win the game and sweep the Spurs out of the playoffs. Facing LeBron James and the Cavaliers for the third straight season, Golden State won it all. 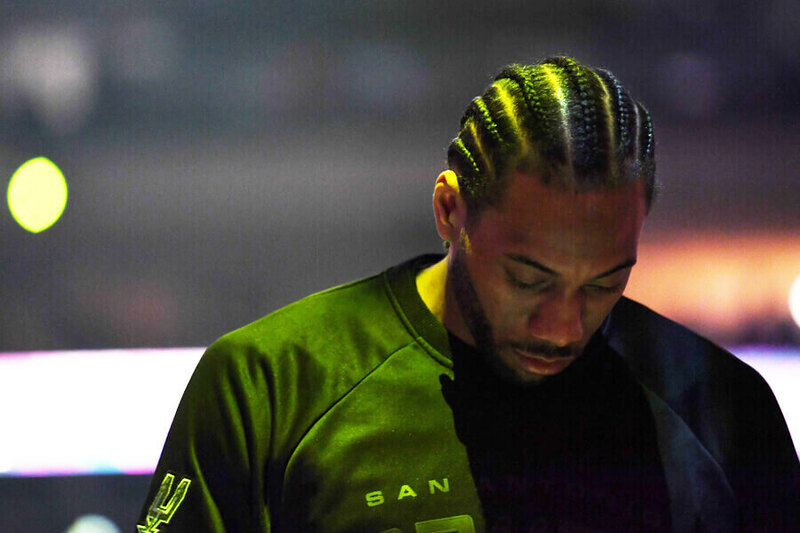 If Kawhi Leonard had stayed healthy, however, who knows how things might have played out. Few playoffs are as exciting and dangerous as the Stanley Cup Playoffs. 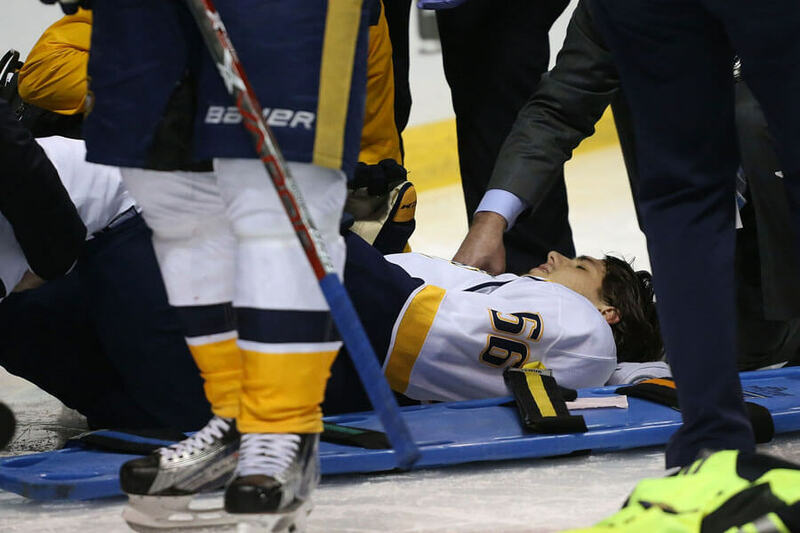 Kevin Fiala proved why when he crashed into the boards and broke his femur chasing a puck. His team, the Nashville Predators, beat the St. Louis Blues 4-3, and somehow battled into the finals against the Pittsburgh Penguins. Without their star forward, the Predators were no chance for the Sydney Crosby-led Penguins. The series lasted six games, and Nashville was outscored 8-0 in the final two. Fiala returned the next season to lead the Predators back to the playoffs. Up next is the unfortunate end of the Cavaliers’ return to the NBA Finals after Kyrie Irving’s injury. Cleveland didn’t get the message and lost to Golden State in six games. 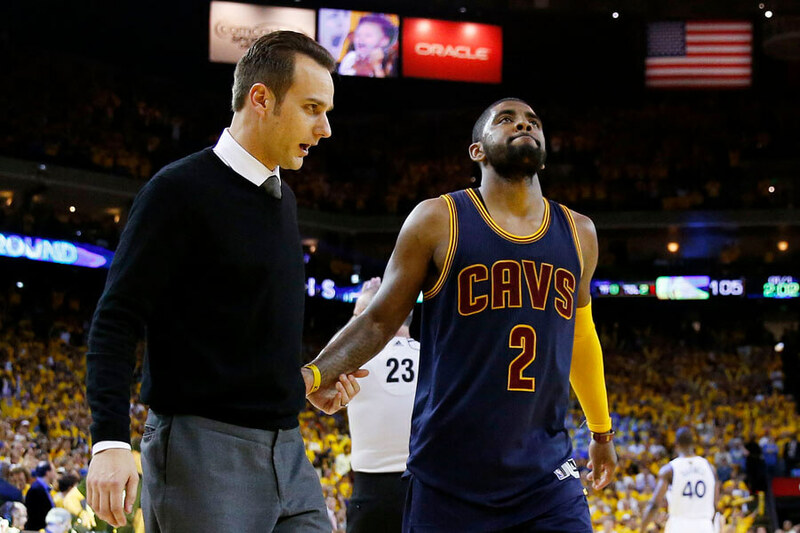 Kyrie returned healthy the next season, and the two teams met again in the finals. With James and Kyrie at full strength, Golden State was downed in seven games, and Cleveland had its first professional sports championship since 1964. 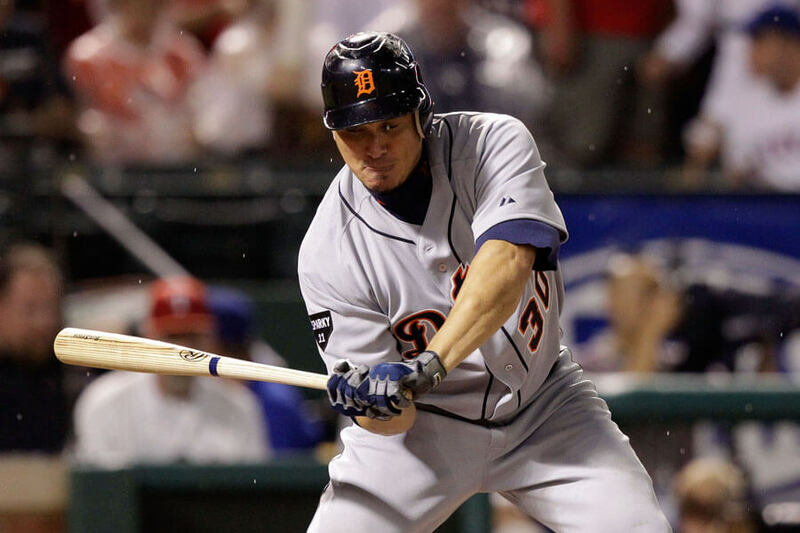 The Detroit Tigers reached the ALCS in 2011, only to be undone when Magglio Ordonez fractured his ankle. The series opening injury against the Rangers forced the Tigers to rethink their playoff luck. Ordonez required surgery and was replaced on the roster by Delmon Young. The Rangers beat the Tigers in six games. Ordonez retired the next season. Entering his late thirties, the surgery on his ankle proved too much to overcome. The Tigers refused to offer him a contract, and no other team showed serious interest in his services. 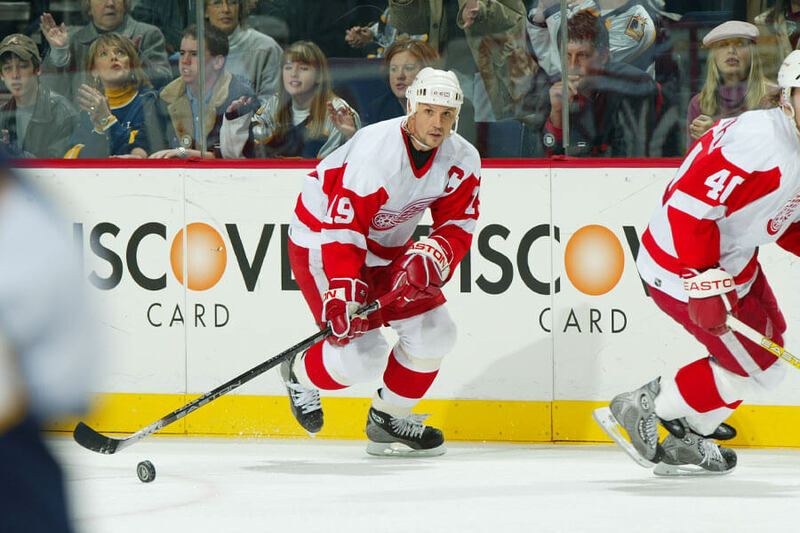 In 2004, the Red Wings were deep into another deep playoff run when team leader Steve Yzerman took a puck to the eye against the Calgary Flames. The shot broke his eye socket and scratched his cornea. The corrective surgery took four and half hours. When asked about the injury, Red Wings’ center Kris Draper said, “He’s been a tremendous leader and now it’s up to us to step up.” Like so many teams before, Detroit failed to step up, and the Calgary Flames advanced to the Stanley Cup Final. Team owner Mark Cuban didn’t agree with Nelson, but the Hall of Fame coach stuck to his guns. The Mavericks lost, and the Spurs advanced to the NBA Finals to take on the New Jersey Nets. Nelson resigned in 2005 after his relationship with Cuban soured. Our next athlete’s knee injury cost him his best chance to win a Super Bowl title. 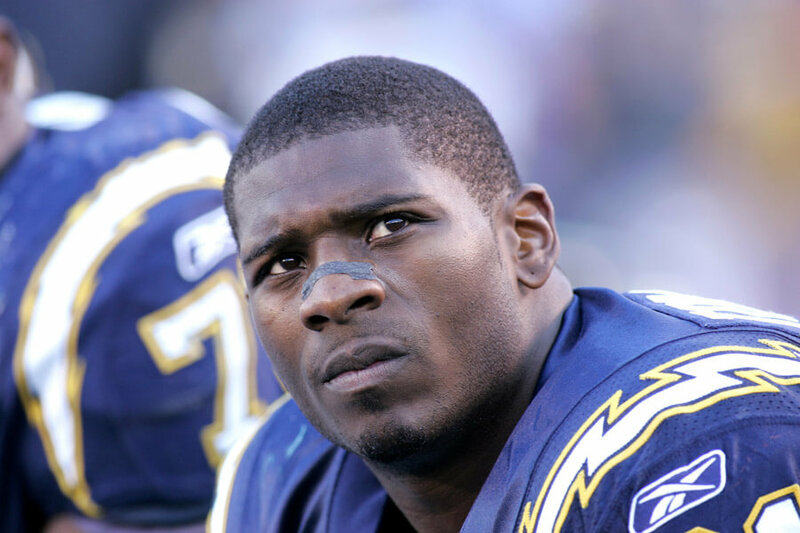 LaDainian Tomlison hyperextended his knee in the 2007 NFL Playoffs in a Chargers victory over the Colts. The following week the Chargers met the Patriots in the Championship game. Tomlinson played through the pain for two drives, rushing once for five yards. The Boston Bruins were flying through the Stanley Cup playoffs in 2010 when David Krejci dislocated his wrist is the Eastern Conference Semifinal. The injury happened in overtime of the Bruins’ game three victory. 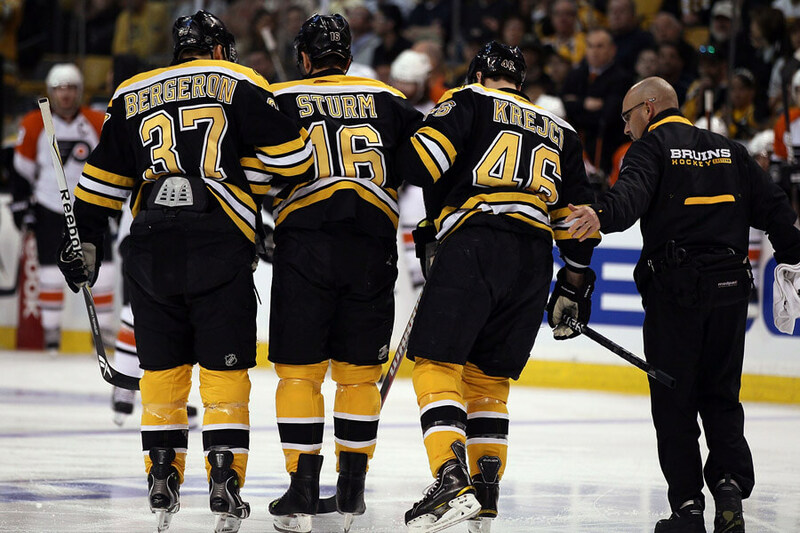 Holding a commanding 3-0 series lead against the Philadelphia Flyers, the loss of Krejci crippled his team. The Flyers reeled off four straight wins and advanced the Eastern Conference Final. 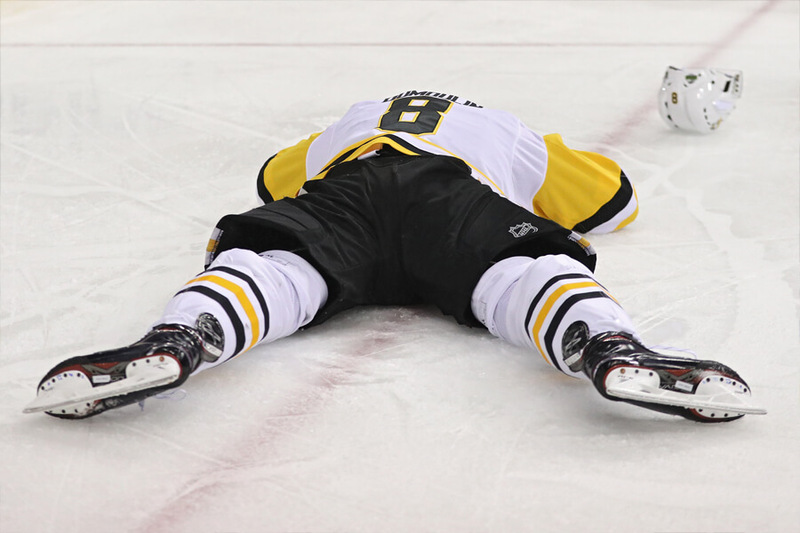 Brian Dumoulin took a shot in the 2018 NHL Playoffs during the Penguins Eastern Conference Semifinal matchup. Washington Capitals forward Tom Wilson delivered the blow, ramming his shoulder into Dumoulin’s head. Dumoulin tried to stay on the ice, but after a few moments made his way to the bench. Dumoulin returned for the end of the series, but it didn’t help. The Penguins lost in six games. Wilson will miss three games, serving a suspension for his continued dangerous behavior. 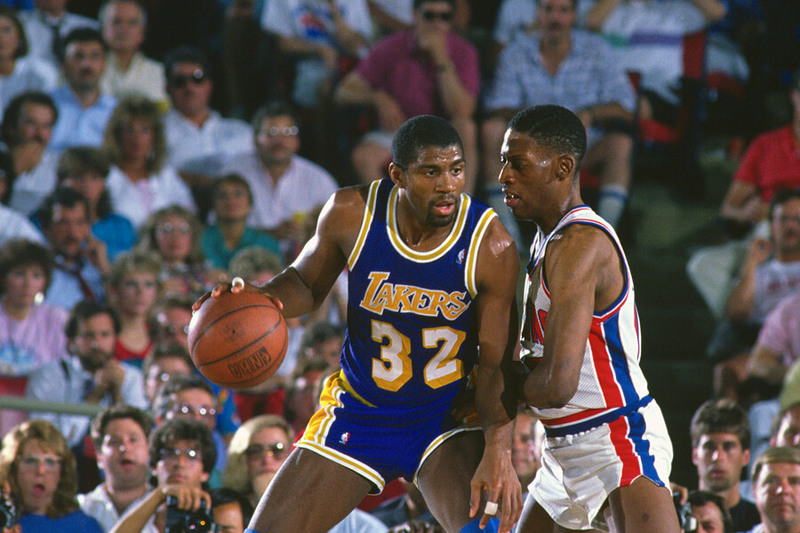 Okay, Magic Johnson didn’t literally lose his hamstring, but his game two injuries did spell the end of the Los Angeles Lakers’ 1989 playoff run. During game two, Johnson pulled back to play defense and pulled his hamstring. He initially refused to leave the floor but gave in eventually. The Lakers, missing the league MVP, fell in four straight games. The Pistons went on to become the “Bad Boys” of the NBA. The team won back-to-back Finals before getting swept by the Chicago Bulls in 1992. Not all injuries happen to professionals. Willis McGahee, coming up next, destroyed his knee in college, putting his NFL career into question. 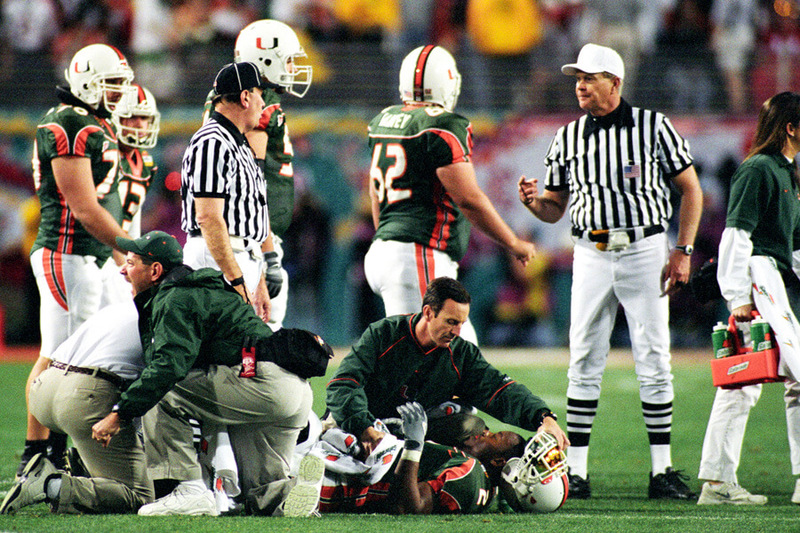 Willis McGahee is one of the greatest college football athletes of all-time, and his devastating injury could not have come at a worse time. After pounding Ohio for 67 yards on the ground in the Fiesta Bowl, McGahee took a hit to the knee by Will Allen. McGahee tore his ACL and MCL and required five hours of surgery to repair the damage. Miami lost the college title game in double overtime. The surgeon commented, “Willis tolerated the procedure very well. If nature does its job and his rehabilitation goes well, he should be able to make a full recovery.” He did, entering the NFL and returning in 2013 after a successful 13-season career. 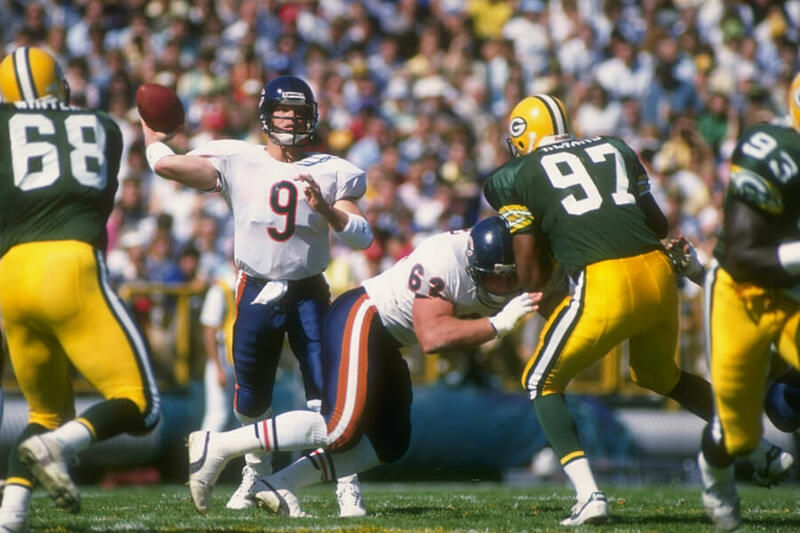 The Bears were Super Bowl favorites in 1986 as long as quarterback Jim McMahon could stay healthy. Everything looked like it was going to plan until Packers’ Charles Martin grabbed McMahon well after a play and body slammed him. The illegal hit tore McMahon’s rotator cuff. The Packers went on to beat the Bears. Martin received the NFL’s first multi-game suspension for an on-field act, with Commissioner Pete Rozelle saying, “In other aggressive acts against quarterbacks, the quarterback at least still had the ball or the ball was in play. That wasn’t the case this time.” Bears former head coach Mike Ditka still hasn’t forgiven Martin for hunting his quarterback on the field. Dominik Hasek led the NHL with a .930 save percentage in 1997. 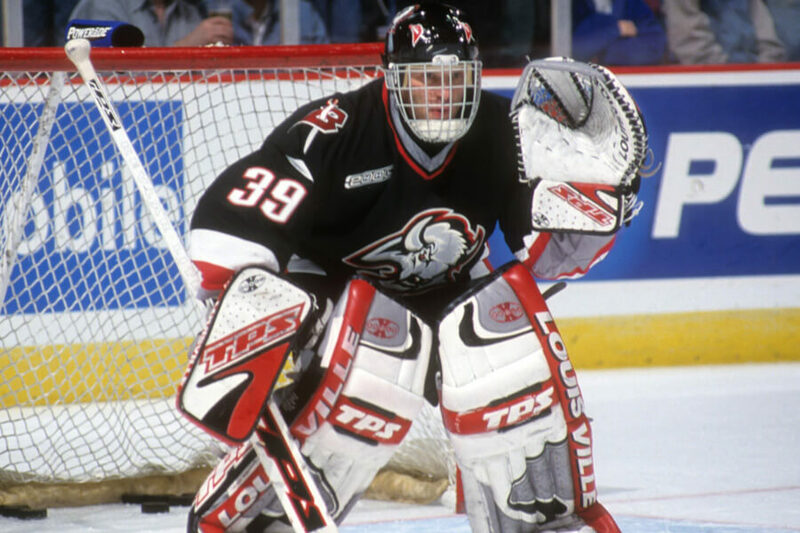 Winning the Vezina and Hart trophies, Hasek looked poised to lead the Sabres to the Stanley Cup Final. Then he sprained his MCL in the first round, and the Sabres’ competitive edge disappeared. With Hasek out, Steve Shields stepped into the goal. He looked entirely overwhelmed, and the Sabres were eliminated after five games. Today, rumors persist that Hasek quit the day after feuding with head coach Ted Nolan, but we find that hard to believe considering his regular season numbers. Entering the 2009 NBA season, the Houston Rockets had a special feeling. The team powered through the season with Yao Ming running the show. They advanced to the second round of the playoffs when disaster struck. Ming fractured his left foot and missed the rest of the postseason. 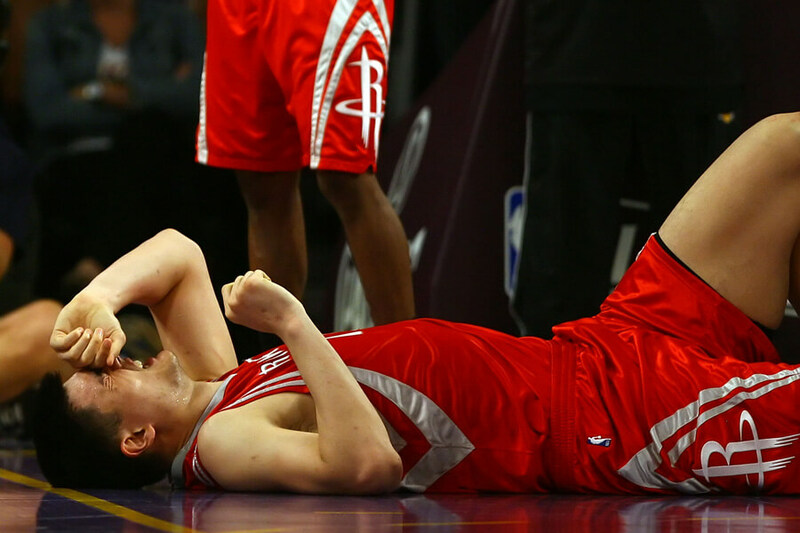 Deflated but undeterred, the Rockets forced the Lakers to game seven before being eliminated. Destiny, if it was really in the Houston Rockets’ hands, fell just out of reach. 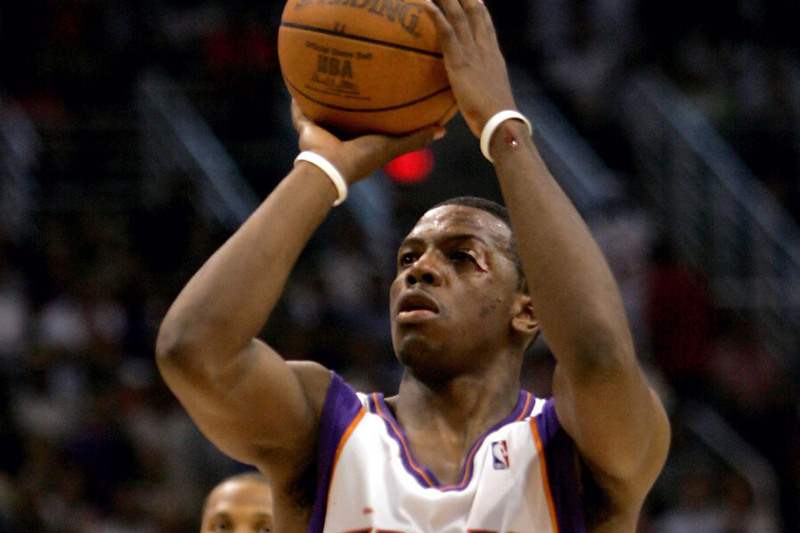 In 2005 the Phoenix Suns bulldozed their way through the NBA with Steve Nash, Amare Stoudemire, Shawn Marion, and Joe Johnson at the core. When Johnson broke his eye socket in the second round of the playoffs, the rest of the team couldn’t hold it together. Facing the Mavericks, Johnson had a dunk attempt blocked. Dallas forward Jerry Stackhouse landed on Johnson’s face, fracturing the eye socket. The Suns somehow pushed through to the next round, where they lost to the Spurs. To this day Johnson maintains, “There’s no way you can tell me we wouldn’t have been NBA champions if I hadn’t got hurt.” As our next few slides show, sometimes players get hurt and play through the pain, becoming heroes. Desperate to beat the New York Yankees and advance to the World Series, Curt Schilling pitched with his sock soaked in blood. The performance came in game six of the ALCS. Schilling pitched game one with the same injury and got blown out. Game six was a different story. Schilling gave up one run in seven innings and became a legend in Boston. The bloody sock, which sold in auction for $92,613, was the result of sutures from tendon surgery coming undone. Schilling, predictably, started the next season on the disabled list with recurring ankle injuries. Wood’s career and personal life fell apart after the injury. Over the next few years, his world ranking fell to 58, and he and his wife divorced. He had a brief resurgence in 2013, but more injuries kept him from reaching his former of greatness again.